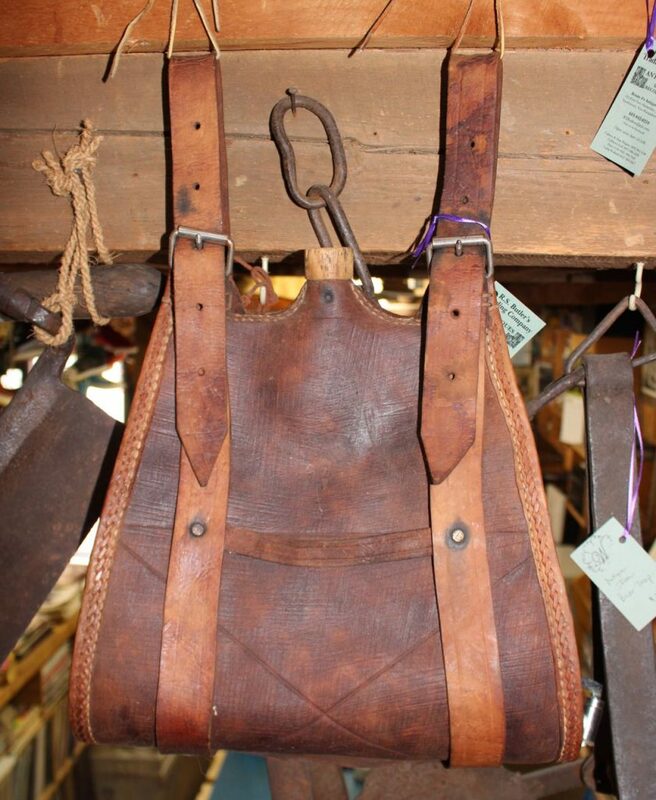 This rare antique leather water bag is a real show-stopper! Heavy leather construction with thick belts & steel hardware. 16″ wide x 20″ high. Excellent condition.